Bruce’s Garden Midweek Literary Readings feature great new works by local writers and stories about our neighborhood. The garden, a living memorial to Bruce Reynolds, is a beautiful part of historic Isham Park entered near the circle at Park Terrace East. Come early, refreshments will be served starting at 6:30. 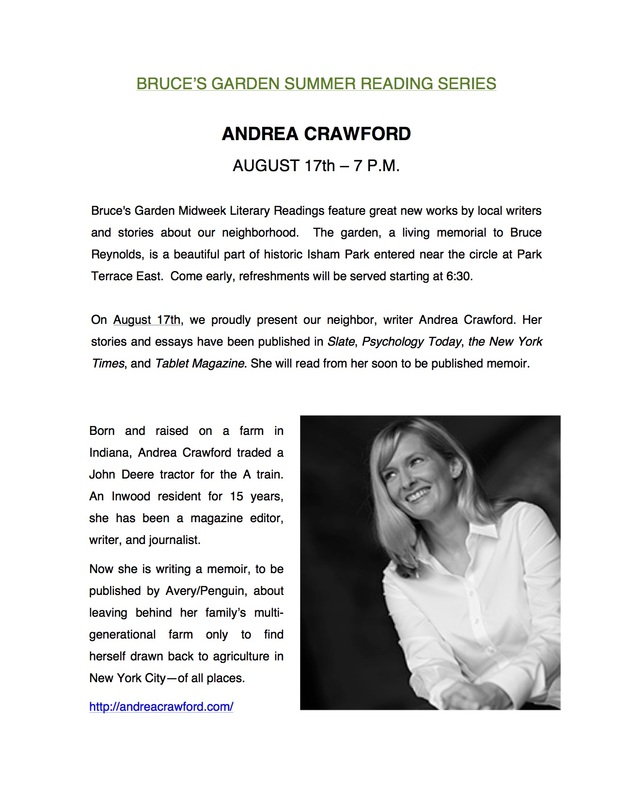 On August 17th, we proudly present our neighbor, writer Andrea Crawford. Her stories and essays have been published in Slate, Psychology Today, the New York Times, and Tablet Magazine. She will read from her soon to be published memoir.